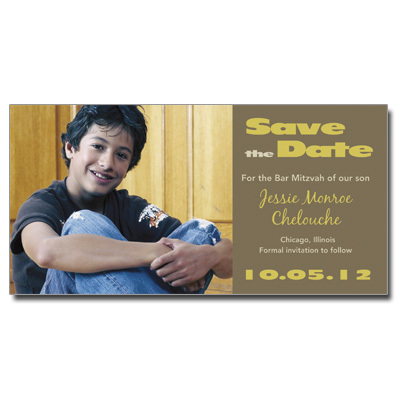 This classic save the date card is a great way to let friends and family know about your child's bar or bat mitzvah! Neutral brown and yellow compliment your photo, with different styles of type for an interesting design. Card measures 7x3.5 and comes with stick-on magnets; light assembly required.